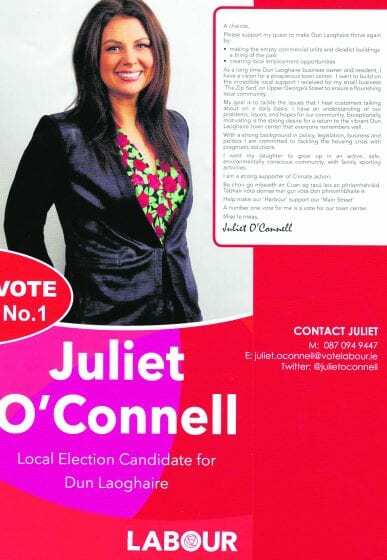 A local election candidate has come under fire by locals for her election fliers, which feature an unsanctioned mock-up of a Dublin Gazette front page. 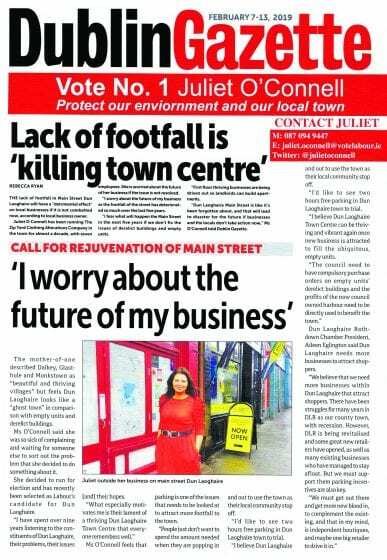 Labour candidate Juliet O’Connell issued two styles of flyers in the general Dun Laoghaire region with an edited version of a Dublin Gazette front page, which have not been approved by this newspaper, and feature the unauthorised use of our masthead. One leaflet featured a near direct copy of the cover of our February 7- 13 issue, whilst the other flier utilised our masthead and other design elements exclusive to this paper, alongside a “Vote No. 1” emblem for the candidate. This emblem, located directly below the locally well-recognised Dublin Gazette masthead, has caused immense confusion in several South Dublin areas as a result, with locals believing this paper endorsed the candidate due to the use of our masthead. The candidate also shared pictures of the fliers on her social media accounts, both on leaflet drops and in coffee shops, with our masthead clearly displayed in these images. Both versions of the flier featured a story previously written for the South edition of Dublin Gazette. The story was based on the depleting main street of Dun Laoghaire, which featured comment from candidate O’Connell, who owns a business in this locale. On the rear of the flier is promotional information and contact details for the candidate, who is running in the local elections on May 24 for the Labour Party. 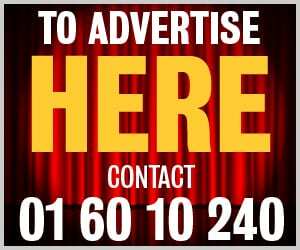 It is believed that these fliers have been distributed to several homes, shops and other businesses in the local electoral area and further afield, with readers from Shankill, Glenageary, Killiney and more lodging complaints with Dublin Gazette. Our group has received several complaints from locals in the Shankill/Killiney electoral area regarding these fliers, as loyal readers of our South edition believed that the paper had given consent for our logos and design to be used by the Labour candidate. 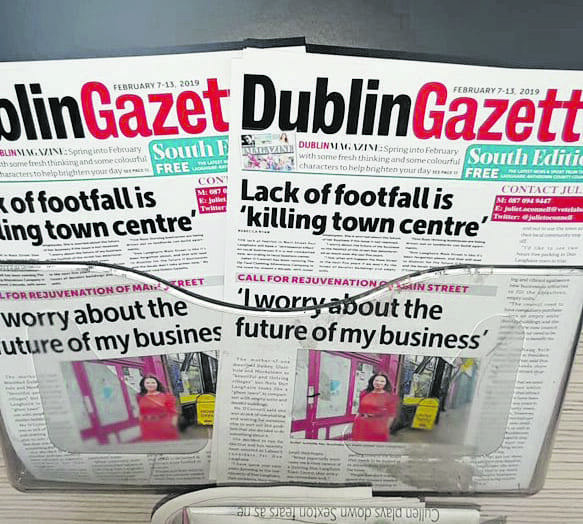 Many callers aired their frustration that Dublin Gazette would allow our South edition, or any edition, to be aligned to an electoral candidate, when we pride ourselves on being an unbiased source of local news, and are not affiliated with any political party. Other local election candidates from different parties also made contact to air their frustrations. Dublin Gazette would like to assure our readers that we do not – and will never – align our explicit support with any specific political candidate or party ahead of this May’s elections, and that Dublin Gazette are in no way associated with this literature. When contacted by Dublin Gazette, Juliet O’Connell said: “I am sorry I misunderstood the permission to use the article. I want to apologise to [Dublin Gazette], your staff and your readers for using it as I did. “I have halted distribution of the article. It was not my intent to cause any damage to the paper. In response to a query for comment, a Labour Party spokesperson told Dublin Gazette that “[the party] does not centrally oversee the content of leaflets distributed in the run up to local elections,” and that they have requested O’Connell halt distribution of the fliers. Following complaint, O’Connell has agreed to withdraw the leaflets from circulation, and to destroy any flyers that have not yet been distributed.